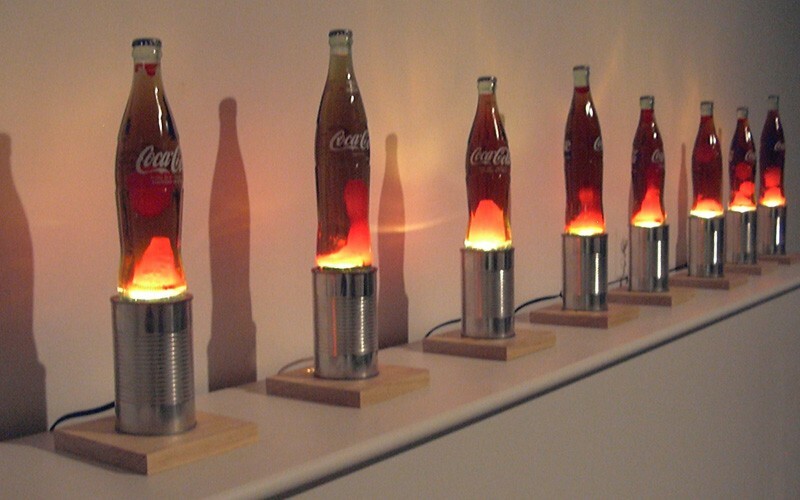 “Self-Sufficient” is an edition of homemade lava lamps. The title derives from the fact that the Coke and soup where consumed by the artist and then recycled into a commodity that is sold for financial support. The edition provides both sustenance and a means to continue. Much like the delicate balance of specific gravities within the lamp the life of the artist is dependent on the delicate balance of time and money. Without the right balance the artist will get stuck and not continue to flow. The life of an artist is not always glamorous, it is usually banal and repetitive, like the movement of a lava lamp.